(Kull the Destroyer I#25 (fb)) - The People of Torranna worshipped the goddess Syndra, who blessed them for ages. (Kull the Destroyer I#25 (fb)) - One day a rift was created between Gasshga's world and the Earth-616 dimension, and Gasshga leapt through the rift, stealing the crown from the king of Torranna, taking it for his own, and slaying the king when the palace guard rushed to stop him. Gasshga sought to take over rule of Torranna, but a trio of sorcerers, Gar-Nak, Korr-Lo-Zann, and Norra, combined their powers to drive him back to his realm. However, Torranna was left with an empty throne, and neither crown nor heirs to the crown. The city remained without a ruler for some time, awaiting one who would retrieve their crown and become the new king. (Kull the Destroyer I#28 (fb) / 29 (fb)) - The residents of Torranna descended into debauchery. Repulsed, Syndra cursed them: they remained young, alive, and seemingly ageless as long as they remained with the city walls, but would crumble into dust upon leaving. Only the wizards Gar-Nak, Korr-Lo-Zann, and Norra could survive outside the city, though even they appeared as living corpses beyond the protective aura of their city. (Kull the Destroyer I#28 (fb) / 29 (fb)) - Syndra did not outlive her curse; her statue crumbled over time. 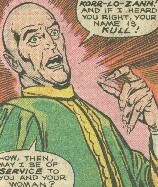 However, before her presence faded completely Gar-Nak, Korr-Lo-Zann, and Norra summoned from her a prophecy, a vague image of one who might some day come to Torranna, a scarred champion who, after filling certain requirements (risking his life to save that of another and becoming Torranna's king, might finally lift their curse. When such a man donned the crown and accepted the role of monarch, that man would take the curse upon himself, becoming trapped within the city while allowing the other residents there freedom. (Kull the Destroyer#23 (fb)) - The hermit sorcerer Morgara discovered a map to Torranna and sent his servant, the hunchback Nor-Atz, to investigate the city. Whatever Nor-Atz saw upon entering the city drove him mad. (Kull the Destroyer I#29 (fb) - BTS) - Thulsa Doom began appearing as a nameless shadowy apparition to Gar-Nak, Korr-Lo-Zann, and Norra, commanding them to obey his orders so that he might arrange the removal of the curse from Torranna. (Kull the Destroyer#29 (fb)) - Thulsa Doom chose Laralei, emotionally distraught from the loss of her lover, as the catalyst to draw , robbing her memory and setting up Kull to "rescue" her from his three Torrannian lackeys. (Kull the Destroyer#22) - As Kull and his minstrel ally Ridondo wandered Grondar, Gar-Nak, Korr-Lo-Zann, and Norra, their appearances obscured as the three Hooded Ones prepared the fake sacrifice of Laralei, summoning a giant raven via a magical ring. As intended, Kull wandered upon the seeming sacrifice, saving Laralei, slaying the giant condor, and driving off the Hooded Ones. 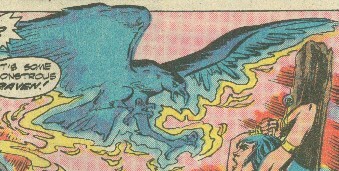 The three sorcerers later confronted Ridondo, with Korr-Lo-Zann using his ring to summon the devil-condor. 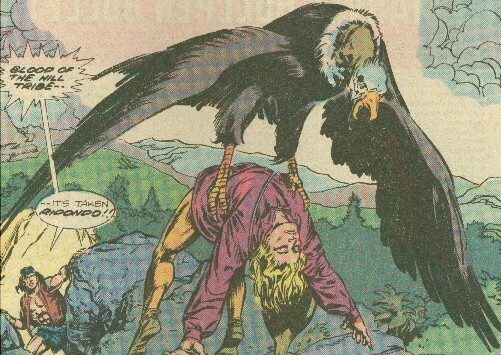 Kull heard the commotion, cut off Korr-Lo-Zann's ring-bearing hand and fought the condor, though it escaped him and fled with Ridondo as its prisoner. The Hooded Ones vanished as well. (Kull the Destroyer#23, 24) - The devil-condor brought Ridondo to the Hooded Ones, and Thulsa Doom's glowing eyes appeared and subdued Ridondo. 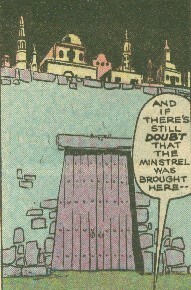 Meanwhile, Kull and Laralei were duped into a plot of Nor-Atz who claimed he could lead them to Torranna. After foiling the plot and slaying Nor-Atz, Kull located a map and the two traveled to the city. Within the city they encountered the wizard Korr-Lo-Zann, whose normal visage they did not recognize (he used a fake wax hand to replace the one Kull and cut off), and who feigned ignorance of their identities. They then heard the cries of Ridondo and followed them, finding him at the mercy of two of the Hooded Ones who summoned a giant serpent. (Kull the Destroyer#25) - Laralei quickly figured that the serpent was actually a portion of Ridondo's soul as she stopped Kull before she could slay it. The two Hooded Ones escaped, and Korr-Lo-Zann used his powers to save Ridondo from his injuries. 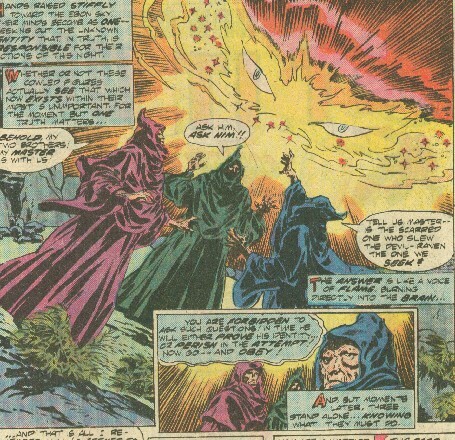 Gar-Nak and Norra joined their essence with other Torrannians, summoning their unknown master (Thulsa Doom), who responded only by giving them a cryptic vision. Korr-Lo-Zann then introduced Kull and Laralei to the other two, and later he revealed to Kull how Torranna had lost its ruler and crown to Gasshga. Korr-Lo-Zann offered to Kull the chance to retrieve the crown and rule Torranna and after some deliberation Kull accepted. (Kull the Destroyer#26) - Gar-Nak, Korr-Lo-Zann, and Norra sent Kull and Ridondo to Gasshga's realm to retrieve the crown. A short time after, Laralei decided she wanted to join them and so the wizards sent her there as well. However, while the first two were sent some distance from Gasshga, Laralei was instead teleported directly in front of the giant. (Kull the Destroyer#27) - While Laralei and then Kull and Ridondo encountered Gasshga, Norra considered romancing Kull upon his return. 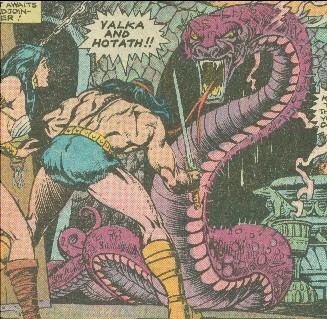 (Kull the Destroyer#28) - After the trio returned to Torranna, Norra attempted to seduce Kull, sharing with him information on portions of the curse over Torranna, and attempting to convince him to not don the crown. He ignored her warnings, but when he prepared to actually accept the crown, she rushed forward, exposing herself and the other two wizards as the Hooded Ones. Thulsa Doom then caused Norra to deteriorate to her true age, killing her, after which Thulsa appeared, revealing himself to Kull and the remaining two wizards. (Kull the Destroyer#29) - Thulsa Doom battled Kull, overpowering him and taunting him with the full truth about Torranna's curse, though Kull did manage to slash his face with his axe. However, when Korr-Lo-Zann attempted to place the crown on Kull's head, Kull leapt up, hurled Thulsa Doom onto the throne and placed the crown on his head instead. As Thulsa Doom now had a scarred face and had essentially saved Kull's life at the cost of his own, the mighty sorcerer now fulfilled the prophecy and was trapped in the throne. However, instead of curse being lifted, the energies of Thulsa Doom apparently disrupted it, and the people and even the very city of Torranna quickly crumbled into dust. Kull and Ridondo narrowly escaped, while Laralei had departed shortly after their return from Gasshga's realm. Comments: Created by Don Glut, Ernie Chan, and V. Monta�o. It's not 100% clear to me whether Gasshga stole the crown before or after (or as part of ) the curse of Syndra, but it seems to fit best with the order I've placed it in, so I'm going with it. According to the letter page in Kull#26, the three Hooded Ones were supposed to all have matching skin and cloak color. Instead they were drawn in differing colors, and so some of the speech doesn't seem to match up or be consistent b/t characters. A creation of Korr-Lo-Zann, it successfully kidnapped Ridondo, despite Kull's efforts, and brought him to Torranna. 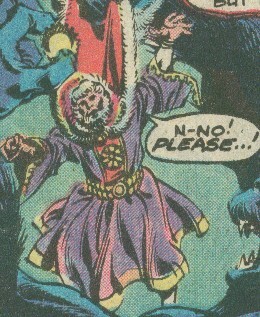 One of the three wizards of Torranna, he served in the Hooded Ones to try to use Kull to reverse the curse of Torranna. He had a relationship with Norra and met his doom alongside the rest of the Torrannans when Thulsa Doom's life force perverted the curse, causing the residents to assume their true age and disintegrate. He had a number of magical powers and he (along with Norra) created the Soul Snake and may have summoned the giant raven. Summoned by one of the three Hooded Ones, it was to appear to be preparing to slay Laralei in order to draw Kull into their plot. Kull slew the raven. The three wizards of Toranna, Gar-Nak, Korr-Lo-Zann, and Norra, they followed Thulsa Doom's orders to try to manipulate Kull into freeing them from Syndra's curse. Some time in the past they had driven off Gasshga and they also learned how they might escape the curse from the last remnants of Syndra. They summoned the giant raven, devil-condor, and soul snake, after which they pretended to be benevolent to earn Kull's support. They sent him to retrieve the crown from Gasshga, but they were eventually destroyed alongside the rest of the Torrannans when Thulsa Doom's life force perverted the curse, causing the residents to assume their true age and disintegrate. One of the three wizards of Torranna, he served in the Hooded Ones to try to use Kull to reverse the curse of Torranna. He created the devil-condor and had his right hand severed by Kull as a result. He wore a wax hand to conceal his connection to the Hooded Ones. He met his doom alongside the rest of the Torrannans when Thulsa Doom's life force perverted the curse, causing the residents to assume their true age and disintegrate. He had a number of magical powers. 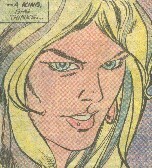 One of the three wizards of Torranna, she served in the Hooded Ones to try to use Kull to reverse the curse of Torranna. However, bored with her long life and her romance with Gar-Nak, she became infatuated with Kull. She tried to convince him to give Ridondo a scar and allow him to wear the crown, but when he ignored her and prepared to accept the crown, she revealed that she and the other two wizards were the Hooded Ones. For this betrayal, Thulsa Doom caused her to age rapidly and disintegrate into dust. Created by the Hooded Ones from the soul of Ridondo, it appeared to be attacking Ridondo, and so Kull tried to kill it. Laralei realized its true nature when she heard Ridondo scream during the fight. When Kull stopped fighting it, it was reabsorbed back into Ridondo, and Korr-Lo-Zann cured Ridondo. The former goddess of Torranna, she kept the city blessed in exchange for their worship. However, when they descended into decadence, she placed a curse upon them. She apparently perished some time after, though the three wizards of Torranna managed to learn the prophecy of how the curse might be lifted before she died. Little is known about the king except that he was slain by Gasshga who stole his crown. He had no heirs, leaving Torranna without a ruler, and the city descended into decadence.